Ive hust bought a &#34;Zalman Multi Fan Controller Plus Black&#34; and i want to tap the fans in my case (Antec Nine Hundred Ultimate Gamer Case) into the controler. Just wanting some opinion on weather it will be an easy soldier job or not. the fan controller only has 3 pin connectors, so ill need to source some of them. Maybe there are resistors on a switch in the little switch thingy.. 2 different resistors or something..
Yeah -- its an easy solder job, assuming you can find the 3 pin connectors. Just leave the switch on the fans set to High, and then solder red to red and black to black on the 3 pin connectors. 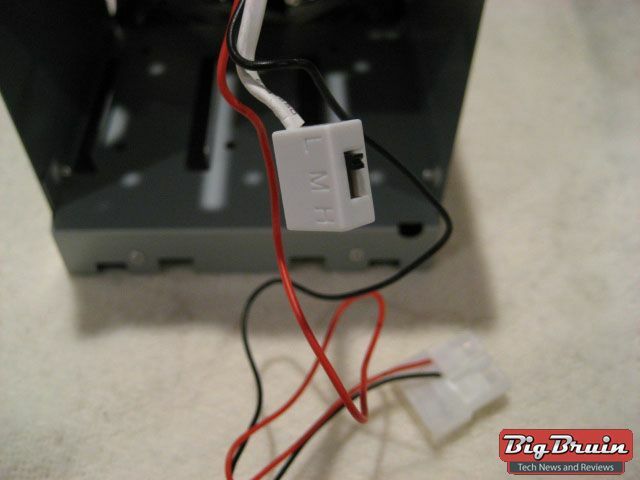 If you want the most out of the fans though, instead of just leaving the fan's switch on high, cut it open and straight wire the fan's controller's wires. But yeah, still an easy solder job.